This is a rectangular Northland Motor Oil porcelain sign. This particular Northland Motor Oil sign is black with red and white print. 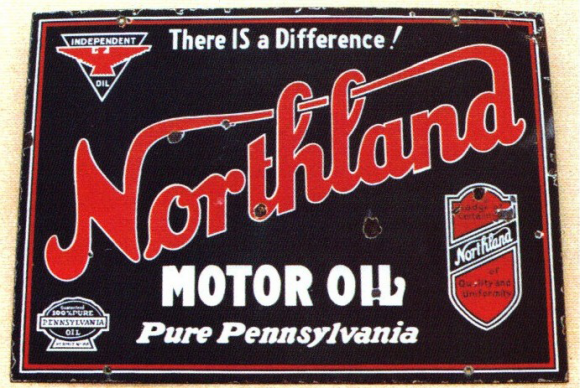 It reads, “Northland Motor Oil, Pure Pennsylvania, There IS a Difference!” and features a red eagle in the upper left corner.